Lego DC Comics Super Heroes: The Flash (film, 2018). An American direct-to-video animated film by Warner Bros. Home Entertainment/Warner Home Video. Directed by Ethan Spaulding. Official Trailer. 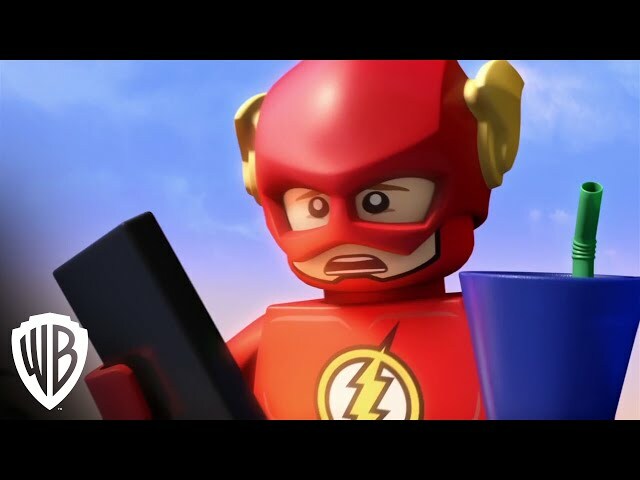 Lego DC Comics Super Heroes: The Flash is an American direct-to-video animated film directed by Ethan Spaulding. 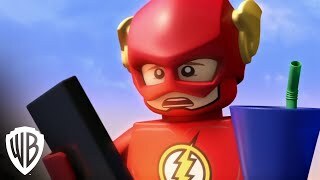 LEGO DC Super Heroes The Flash Trailer. The second Atom is introduced into the Justice League as the Joker poisons Metropolis with his Joker gas and remodels the Daily Planet. Flash arrives late after stopping for food and catching Captain Cold and Captain Boomerang. The Justice League is upset with his impulsive decisions when a yellow, vibrating speedster taunts Flash for his inferior speed. Following a chase, Flash wakes up his bed the next day; after recognizing the events from the previous day, Flash realizes he traveled back in time to the morning of that day and is able to stop the Joker. The yellow speedster taunts the Flash again and the Flash enters a time loop, repeatedly chasing the speedster and stopping the crimes of that day. Batman gives Flash advice on how to stop it, but the yellow speedster gives Flash the chase again. In a dimensional gateway, Flash pushes his power past its maximum to overtake the speedster and break the loop. In Central City, Flash's powers are gone and the city has turned against him. Batman removes him from the Justice League after being framed for pulling pranks on the League. The yellow speedster reveals himself as the Reverse Flashenvious of Flash's fame, Reverse Flash traveled from the future to steal his (and the Justice League's) fame. In atomic size, Atom hears everything, though as Reverse Flash restrains Flash, his suit short circuits preventing him from unshrinking. Atom frees Flash and phones Doctor Fate to help Flash regain his powers. Flash is teleported to Doctor Fate and Atom attempts returning to the Hall of Justice to explain Reverse Flash's plan to the League. Reverse Flash commits acts of heroism at a rate quicker than the Justice League, gaining him popularity with the public and leading the Justice League to announce their retirement. The film Lego DC Comics Super Heroes: The Flash was scheduled to be released by Warner Bros. Home Entertainment and Warner Home Video on February 13, 2018 (Digital) and on March 13, 2018 (DVD and Blu-ray).